Bright Lights, My City: Step into my office. Ok, so it is not a REAL office. 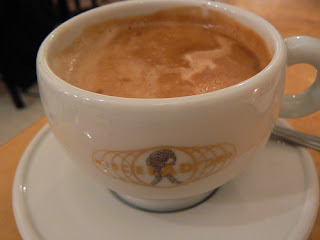 But the adorable coffee shop Paradiso, is where I have been blogging from (because a coffee shop seems perfectly New York City cliché). At first I missed the days of having my own office at a television studio, where I read scripts and watched the feed of scenes being taped on my flat screen. Now, I am more than content with writing about my city girl life, while enjoying sweet treats, job searching, and gchating my employed friends (sorry for annoying you guys all day). This tiny shop is owned by a warm couple from Italy, who have transplanted to the East Village. They make delicious homemade tiramisu in six different flavors for $5. Try the Classico or Banana Chocolate. Amazing! They also sell salads and hot paninis. I adore the Ham and Brie Panini (with caramelized onions, lettuce, and honey mustard). The iced coffee is flavorful and strong. Well, maybe not strong enough for my Dad, but perfect for me! Next time you’re in my neighborhood, stop by Paradiso for coffee or lunch. And maybe I’ll be “working”, so say hello! xo Paradiso. 105 Avenue B. Hey this is MY neighborhood too-awesome! How did I not know about this place? It's been open for a year of so, but is tiny, so you could miss it! It's across the street from 7B/Horseshoe Bar. Def check it out, girl! I can't wait to try a capaccino. I see you soon. You KNOW I'll be checking it out with Dad on our next visit to NYC! Got my eye on a panini & some of that banana-choc tiramisu!! sounds wonderful! will have to check it out the next time I'm in NYC! Pretty Miss SoCal, I hope you do get to check it out on your next visit! I love Cali - haven't been in a year and need to get there again soon! 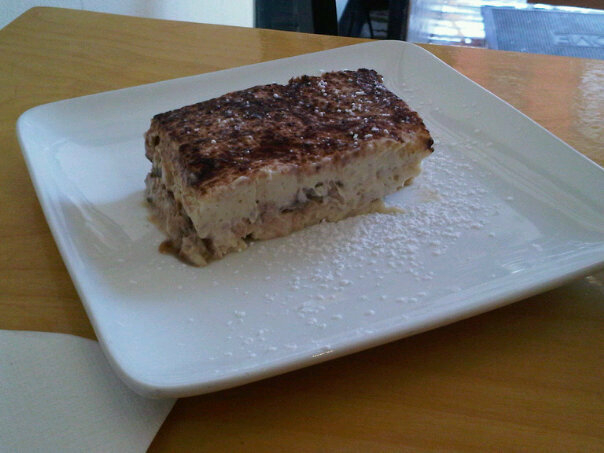 I got to taste the Banana-choc tiramisu first hand, it was sooooo delish! 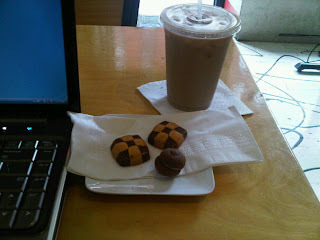 The skim latte was perfect & the proprietors were so pleasant & accomodating. Definitely worth the trip! !